Time for me to gush for a moment. I am the proud mama of two beautiful, smart and loving little girls. They are just the greatest kids. Often, I marvel at how wonderful they are. They are more brave and fearless than I will ever be. They seem to grasp new ideas easily and they have such a keen sense of humor. My girls are also compassionate and kind - I have witnessed them giving away things that moments before cherished, just to make someone happy. They are special, unique and cool kids. I love both of them dearly. As great as all of those characteristics are, my kids are just kids. This means that they need parenting such as structure, guidance and discipline. About six months after my youngest daughter was diagnosed, I started looking for pre-schools. After passing through a few and not feeling like we found a fit (namely a diabetes fit), I found one through our local school district. Upon our first tour, we walked into the office to meet the staff. One of the secretaries noticed our daughter's pink insulin pump and commented that her adult daughter also wore an insulin pump. The secretary said her daughter was diagnosed as a young pre-teen and now was a parent herself, living a happy and healthy life. 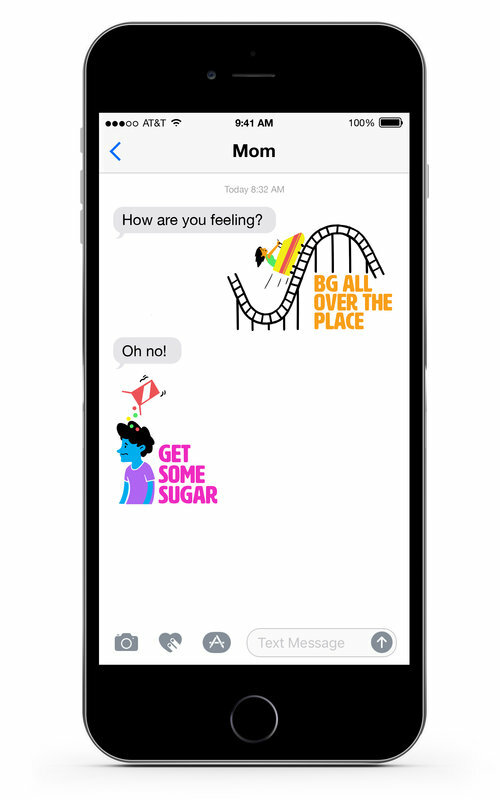 Nothing says reassurance to a parent about to embark on a scary journey than meeting a person who knows exactly what you are going through. I loved this secretary and I loved this school! We had found our perfect (diabetes) fit! A few weeks after enrolling our youngest daughter, a new and not so great, pre-school behavior emerged. Our daughter would have a temper-tantrum and refuse to leave my side without tears or clinging. Once inside the classroom, she behaved perfectly and enjoyed seeing her teachers and friends. Having that little outburst was a normal part of maturity and gave her a feeling of control over the situation. As a parent, I had no idea of how to handle this. She told me to test her blood sugar and then, discipline. If you are laughing right now, I completely understand. It seems so simple that it is bordering on ridiculous. 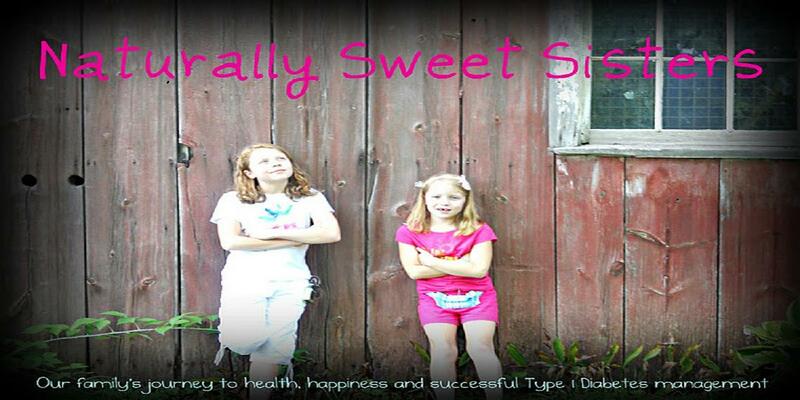 While I had been handling the invasion of type 1 diabetes, I had stopped handling parenting. I had been overlooking bad behaviors and turning a blind eye to negative outcomes that my little girls were creating. I had been feeling so guilty for everything that comes along with type 1 diabetes (needles, lancets, poking, hypoglycemia, hyperglycemia, infusion set changes, etc. ), that I actually wasn't doing any guiding or parenting. I was busy trying to make the boo-boos all better. Obviously this was my wake up call. 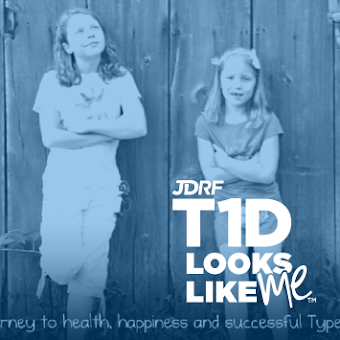 I had to come to terms with the fact that type 1 diabetes would be with us for the long haul. This was as much a part of our family as is curly hair or blue eyes. Time to accept it, embrace and stop tip-toeing around it. I pulled out my meter, read the normal blood sugar and then, I disciplined. It took a while to get the kinks out but now, my children know what is expected of them (rules are clearly defined) and what the consequences (privileges like TV or computer are removed and time-outs are given) are. I'd like to think that my kids are even better because of this, even if really, they are just great kids. Over the years, many a doctor, nurse, teacher has thanked me for sticking with the hard part of parenting. So often, I have been told, children with chronic illness are not disciplined. I am not one to judge because I can see how that happens. This is a difficult journey that we are on and what works for one may not work for another. If I can help anyone out there struggling with this, just remember to test and then discipline. One day, all of our kids will thank us for it!